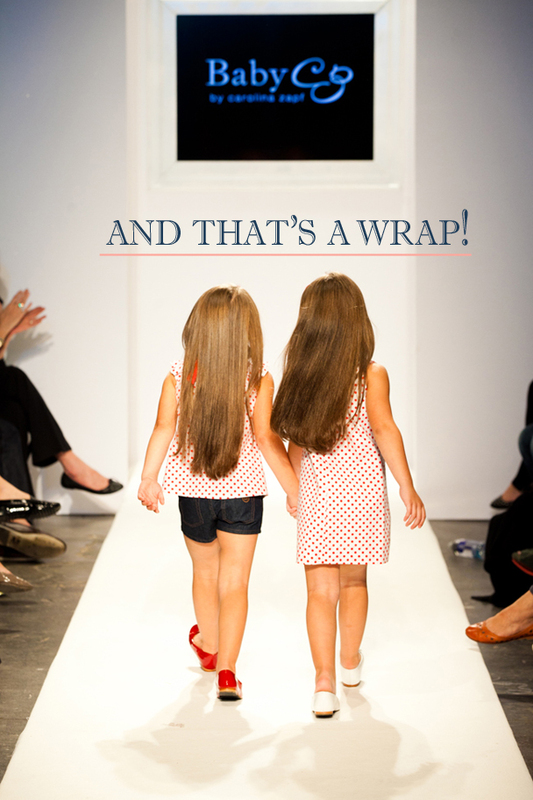 Each fashion season Petite Parade and Vogue Bambini presents kids fashion week in New York City. 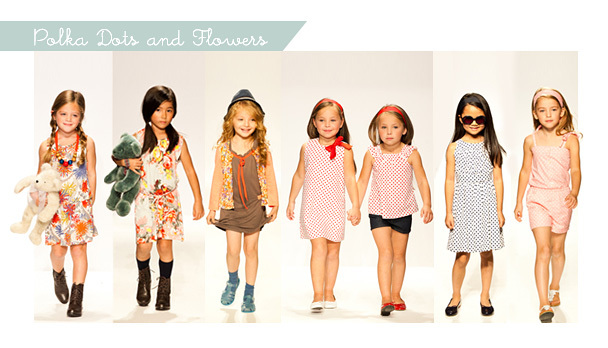 The La Petite Peach team was dazzled by the fashions, and mini modelestas that graced the runways. This year, one of my favorite photographers, Masha Maltsava, shot the runway looks for us, and it took weeks to pick our favorites (we wanted to feature them all!). My absolute favorite trends this season are the florals, which we have seen in adult fashion, and I cannot get enough of it! Hope you enjoy this S/S 2013 preview. 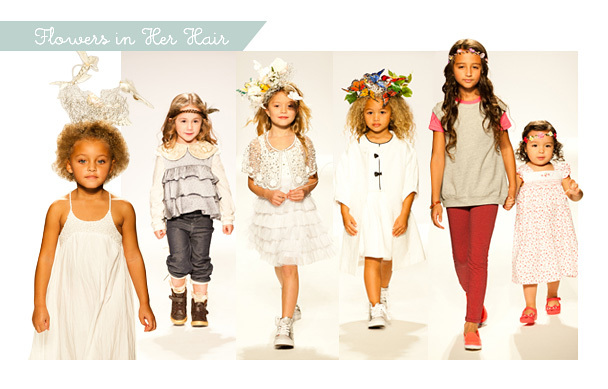 I love this look for girls, it reminds me of the little girlies and boys in Par-ree! Girls Clothing:Armani Junior: Girl’s White Ruffle Shirt, Petite Bateau: Girl’s Skirt, Hanna Andersson: Classic Clogs from Sweden, Gucci: Kid’s Logo Hand Bag, and Simonetta: Red Leather Belt. The Designers: Mischka Aoki, Olivia Rose and Miss Blumarine. The Designers: La Piccola Danza, Agridulce Patricia Gomez and Kissy Kissy. The Designers: Selections from Parsons School of Design, Pale Cloud, and Bonnie Young. That’s a Wrap! We hope you enjoyed! Mischka Aoki Line was Beautiful. And the Blond Model for Mischka Aoki above was Great ! 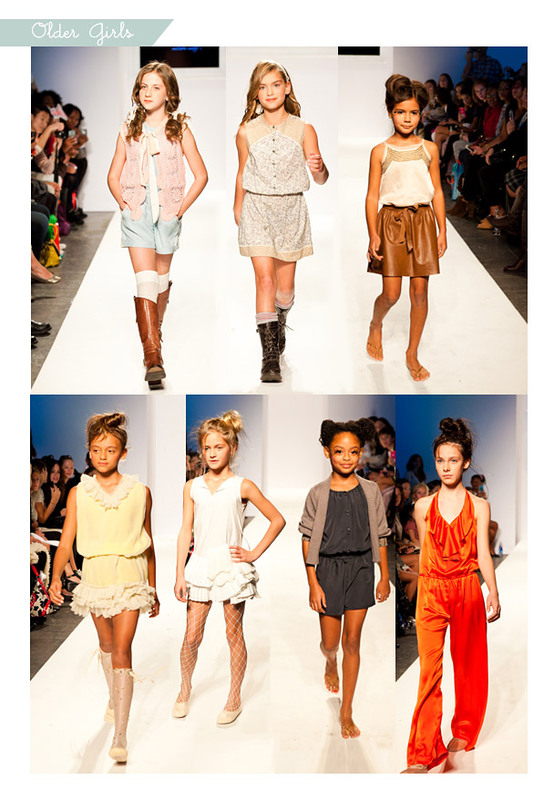 I was wondering if you had any information on the 2013 Kid’s Fashion Week casting? My son Jaylen has been modeling for over 2 years now, and his ultimate goal is to be apart of this amazing event. I want to know if petite parade for kids cast children from Puerto Rico? I have a 6 years old daughter and she has experience modeling in Runways in Puerto Rico . Hi. I have a daughter who is willing to model… Paid or non paid. She is currently taking commercial print & runway classes. She has done one fashion show so far. But it’s hard to get auditions because we are from Louisiana. We are willing to travel so if you can please inform me when open auditions come up we would really appreciate it. Thank you! We don’t cast for the Petite Parade show, it is their own entity…you can contact them here… http://www.petiteparade.com/ good luck! I love the dresses. Are they for sale? 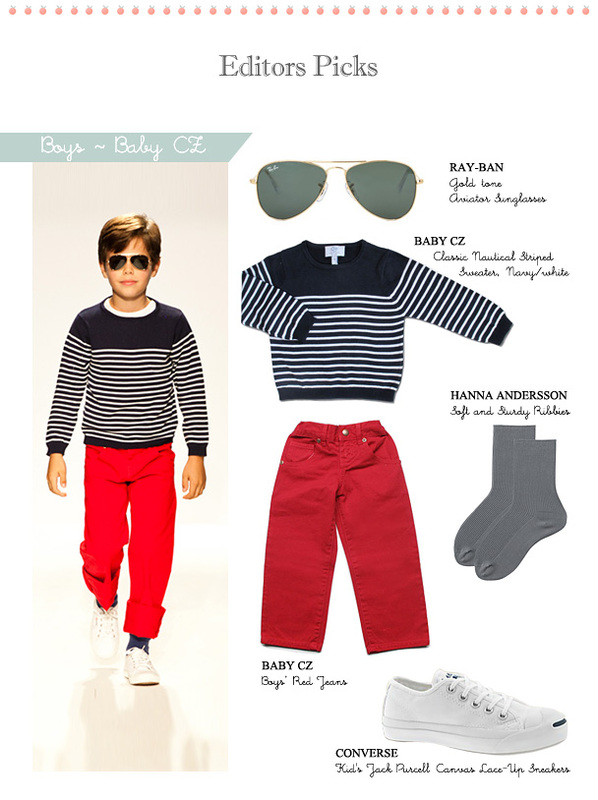 Geñlo, we would like to introduce our line of fine European Childrenswear.